A Girl & A Gun Women’s Shooting League (AG & AG) hosted its 2018 AG & AG Fall Festival on Oct 2-7, 2018. Fall Fest comprised three shooting events: one 2-day training course, a 2-day 3-gun match, and a 1-day pistol match at Rockcastle Shooting Center in Park City, Kentucky. 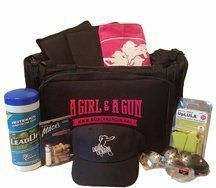 AUSTIN TX – A Girl & A Gun Women’s Shooting League (AG & AG) is welcoming 350 participants, 100 instructors and staff, and more than 50 vendors to it’s 6th Annual National Training Conference, which begins Thursday in Burnet, Texas. The Presenting Sponsor of the event is CZ-USA Firearms. This marks the second year of the partnership between these two respected brands in offering this annual training conference. The 6th Annual National Conference Presented by CZ-USA will take place from April 19-22, 2018, at Reveille Peak Ranch. Attendees will rotate through six to eight 3-hour training sessions on a wide range of topics. Sporting Clays Champion and Guinness World Record Holder Dave Miller of CZ-USA will be teaching sessions throughout the weekend as part of the all-star lineup of professional instructors. A Girl & A Gun Women’s Shooting League (AG & AG) is pleased to announce that SIG Sauer is the Title Sponsor of the first-ever Ladies USPSA Handgun Championship to be held at Rockcastle Shooting Center on Sunday, October 7, 2018. 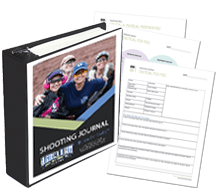 This match comprises the final day of the A Girl & A Gun Fall Festival, which includes shooting clinics and competitive events for women. Lisa Tripp of Western, OH, was the first place winner with a score of 15.04. Cynthia Blankenship of the Prescott Valley, AZ, chapter came in second place with a score of 21.55. Cheryl Fordyce from Tallahassee, FL, placed third with a score of 24.11. The Youth Member winner was Stephanie Faris of High Desert, CA, with a score of 78.78 and Facilitator Tina Martin-Nims of Jacksonville, NC won her division with a score of 18.03.